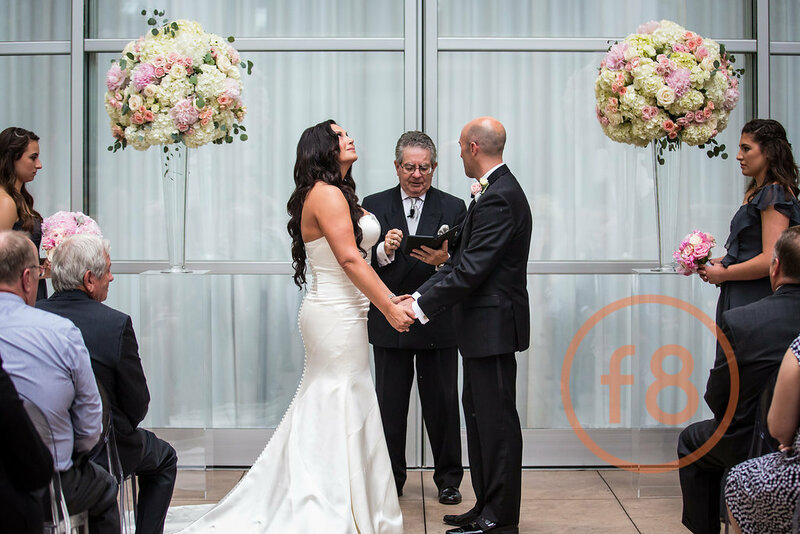 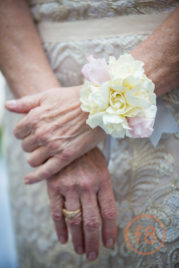 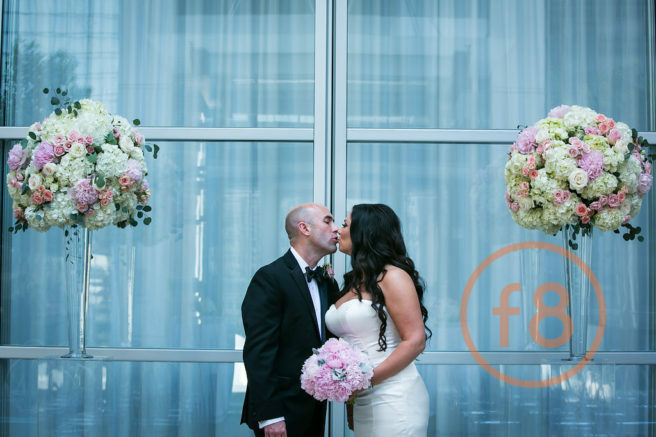 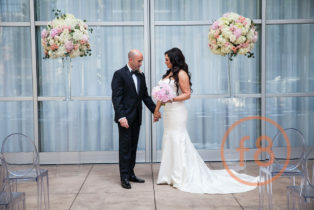 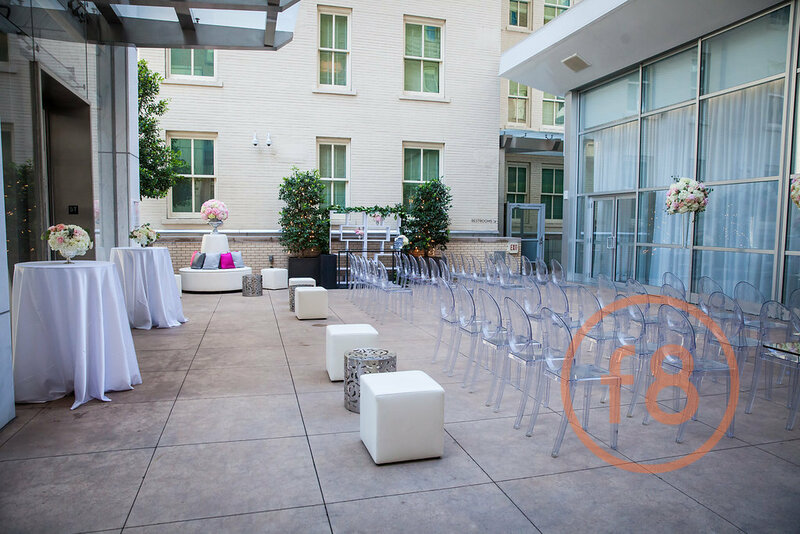 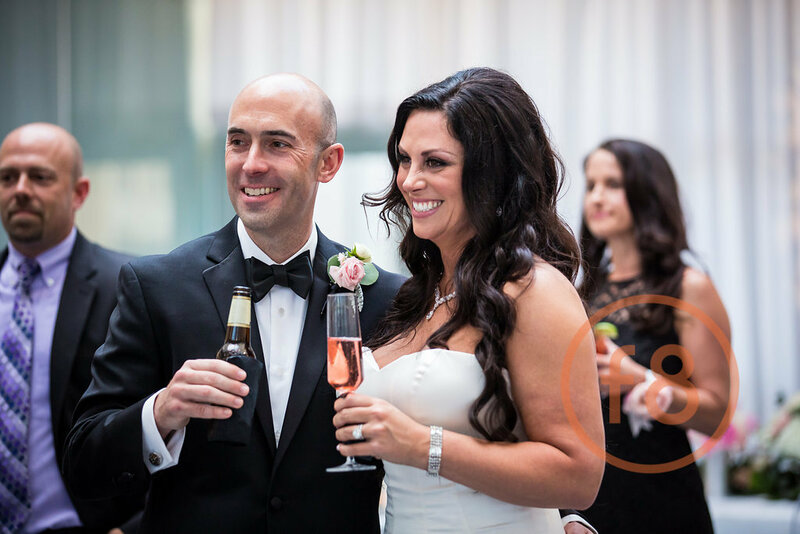 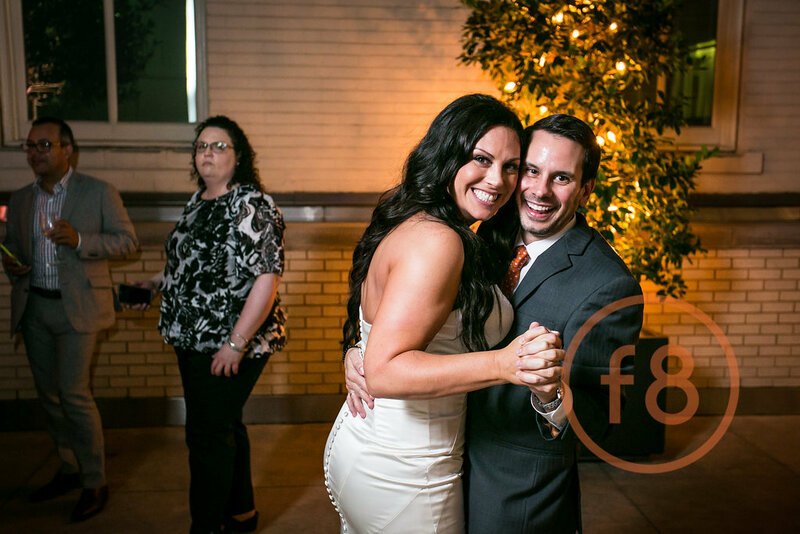 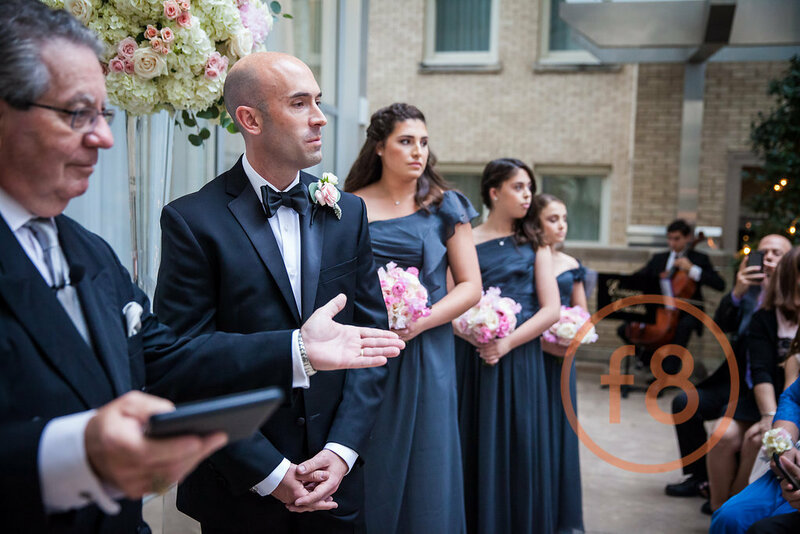 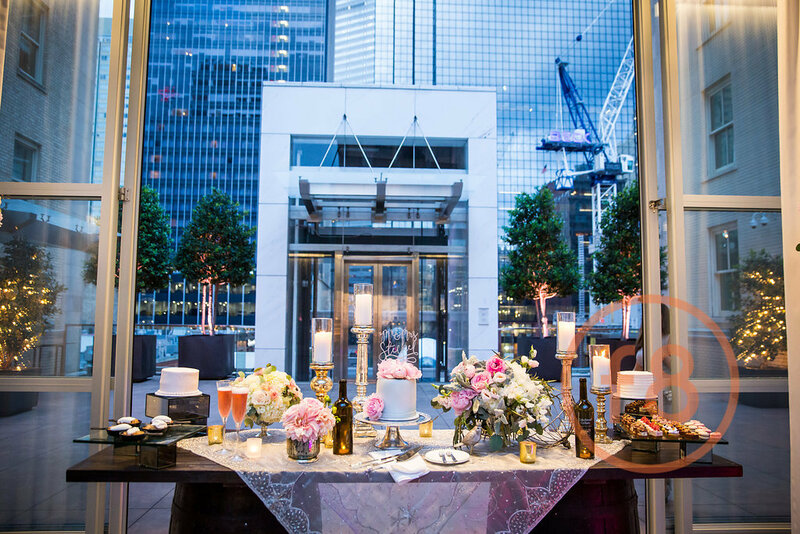 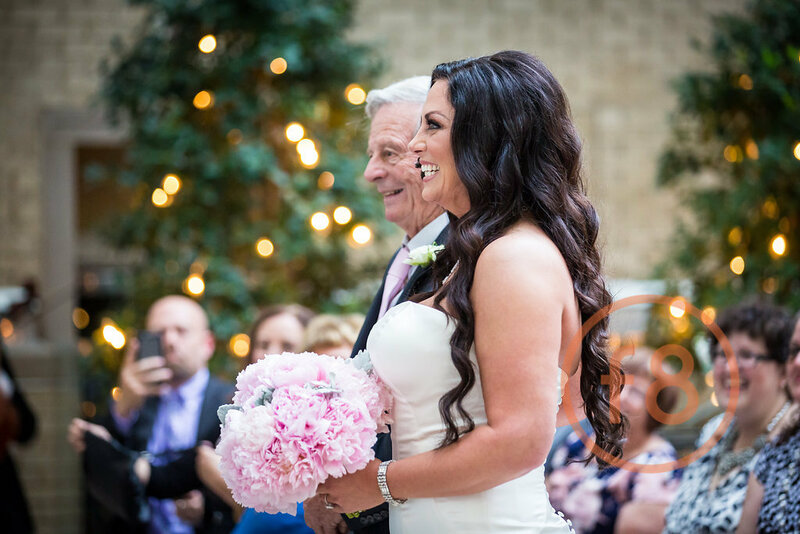 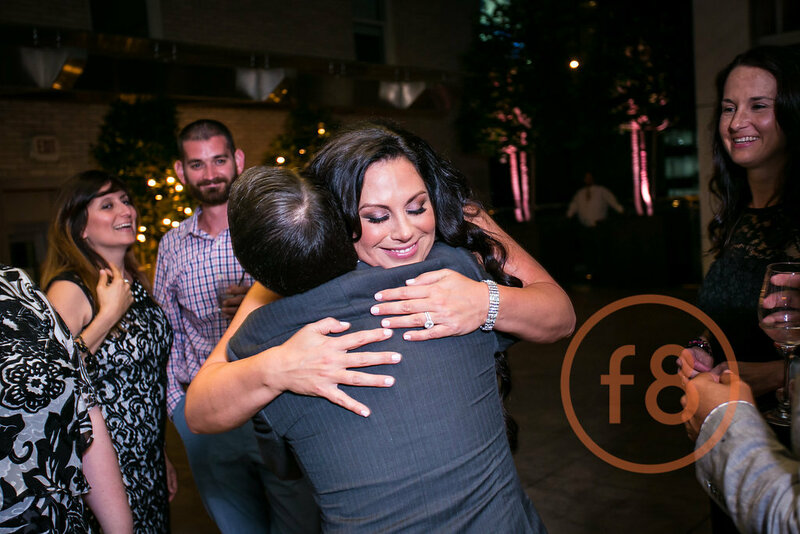 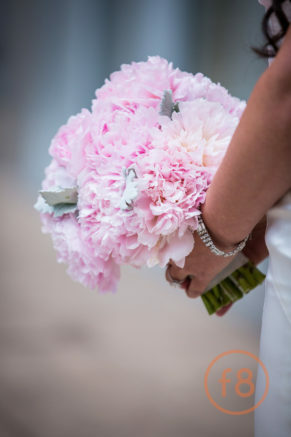 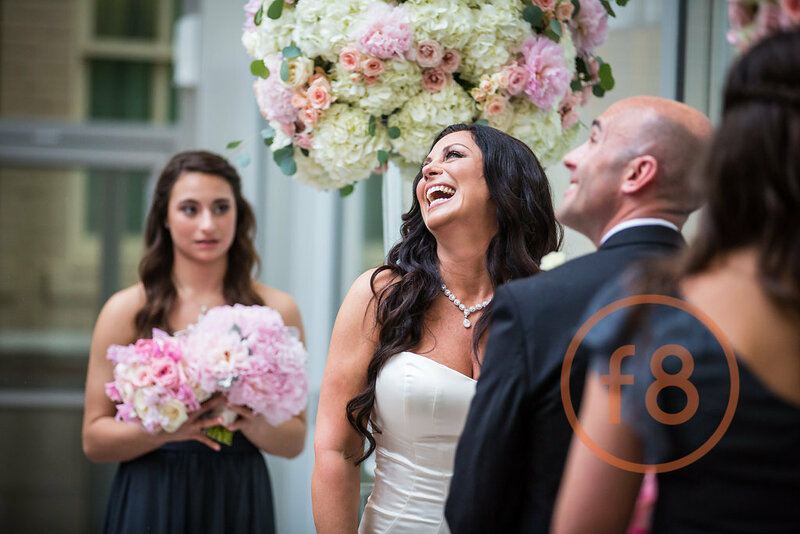 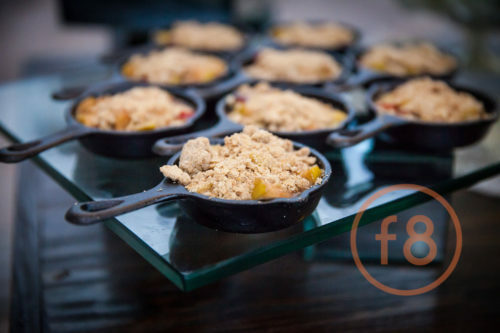 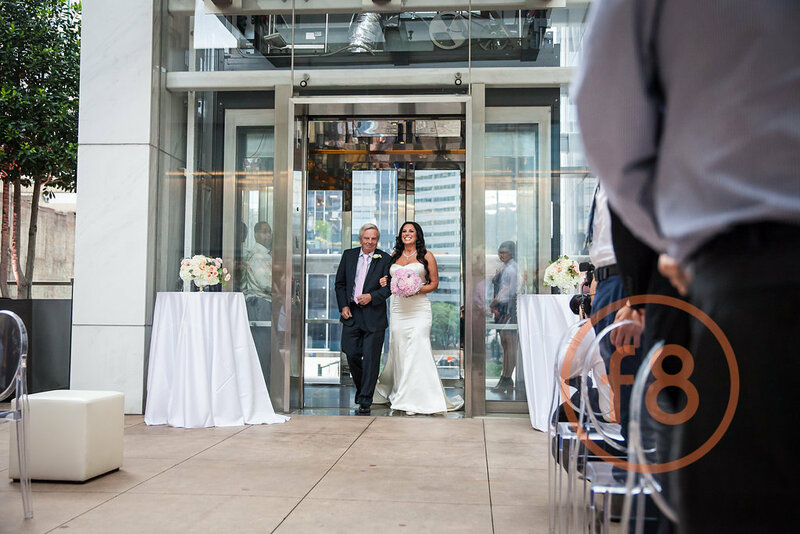 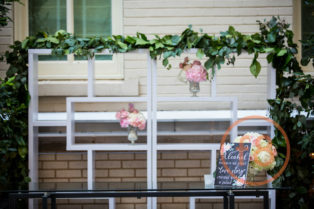 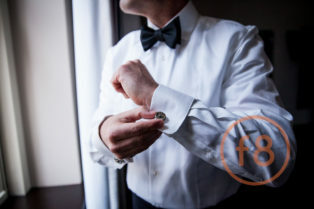 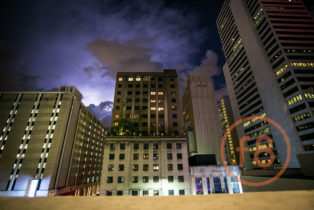 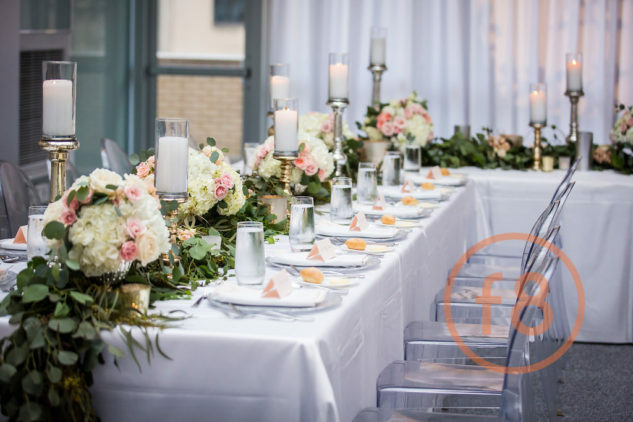 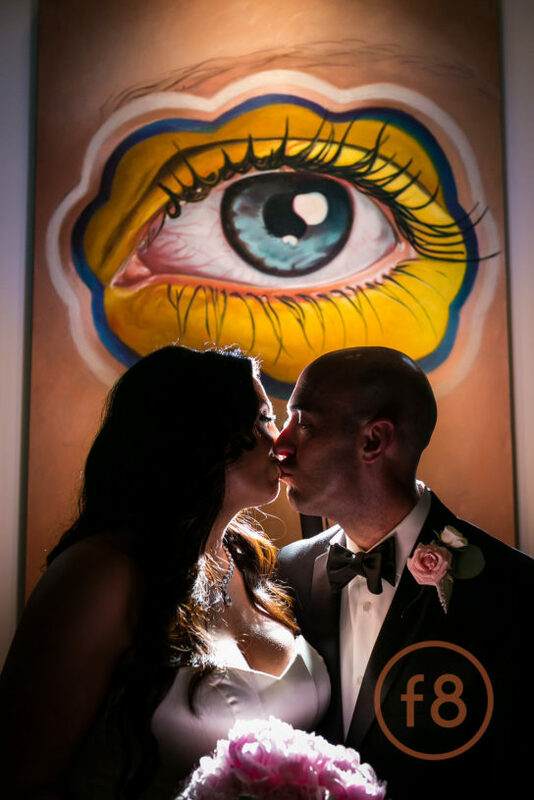 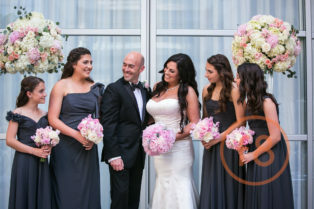 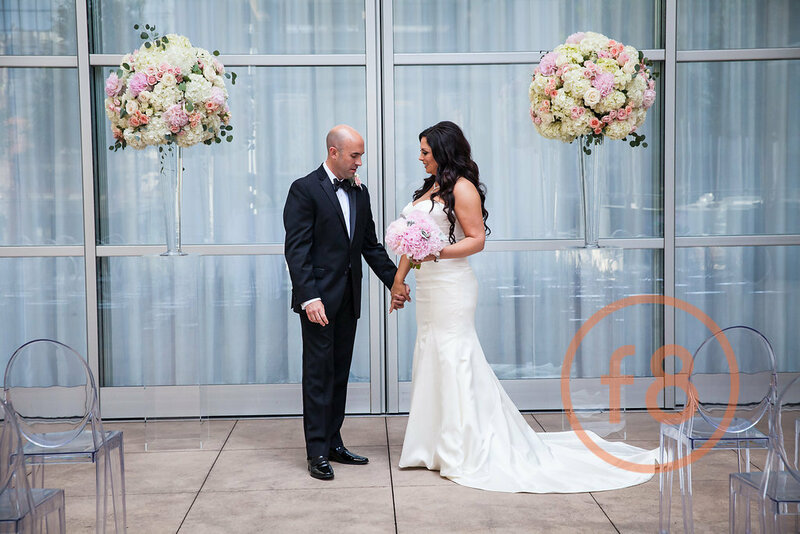 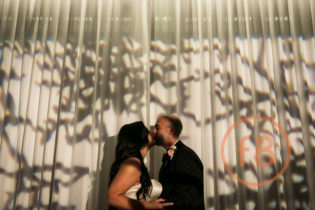 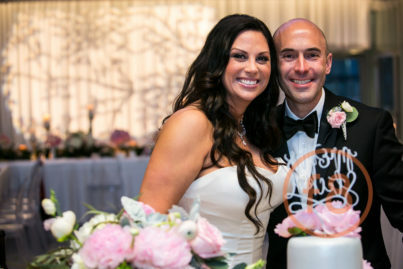 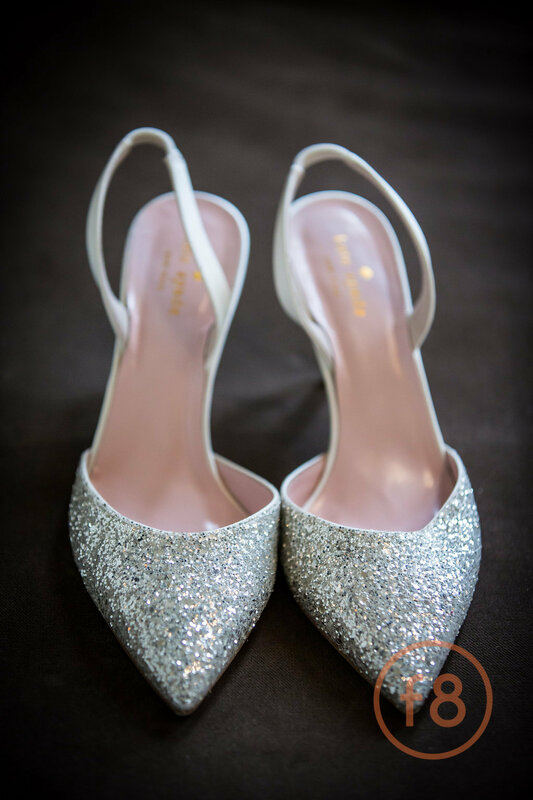 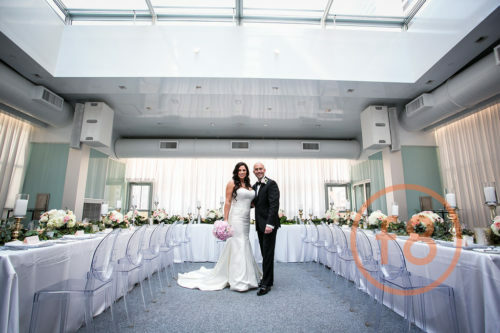 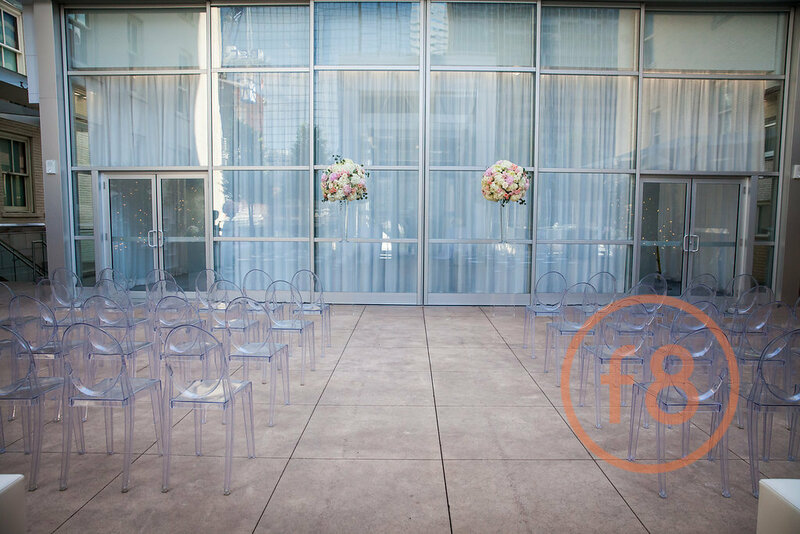 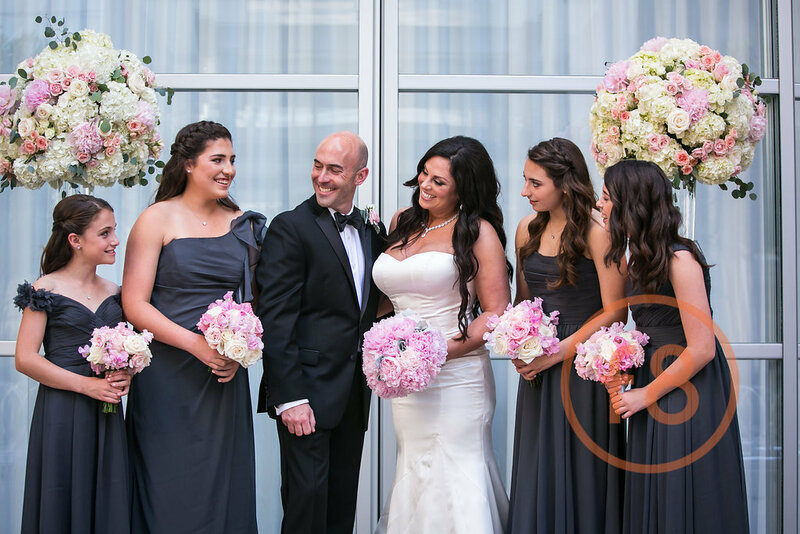 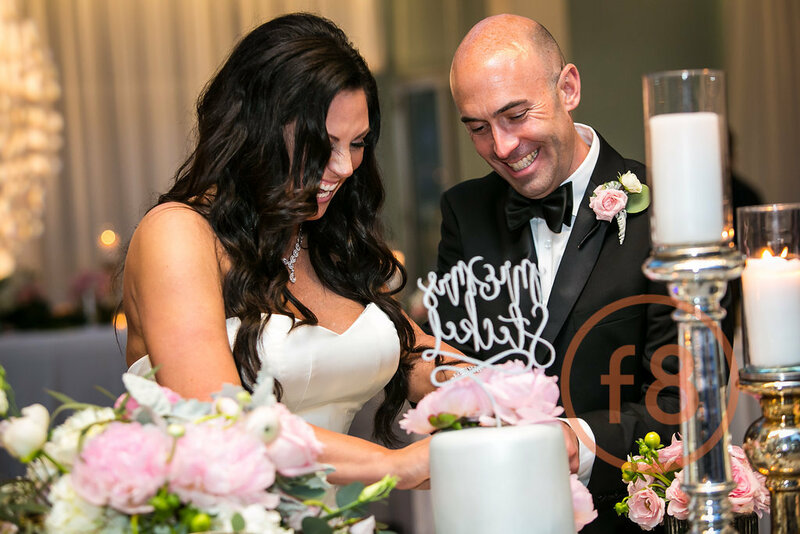 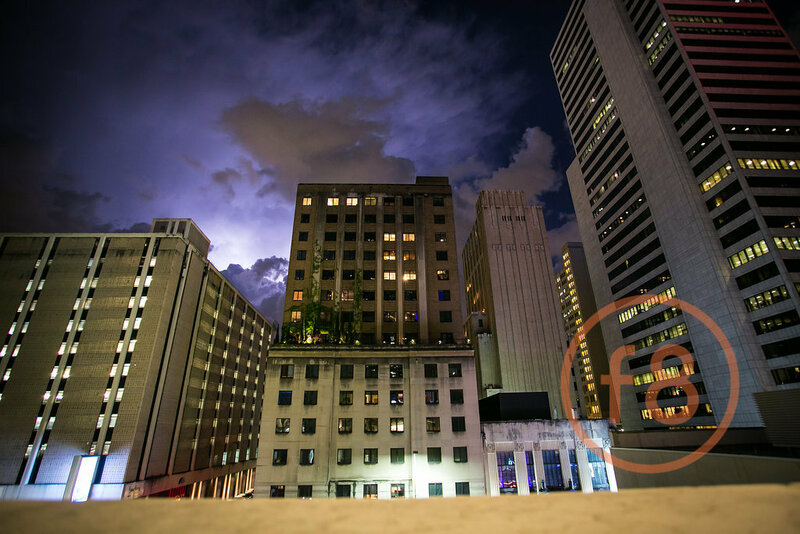 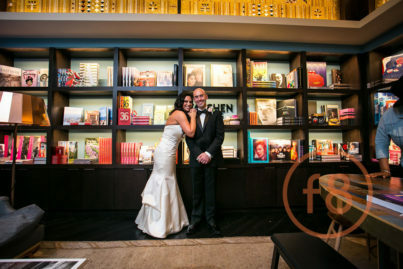 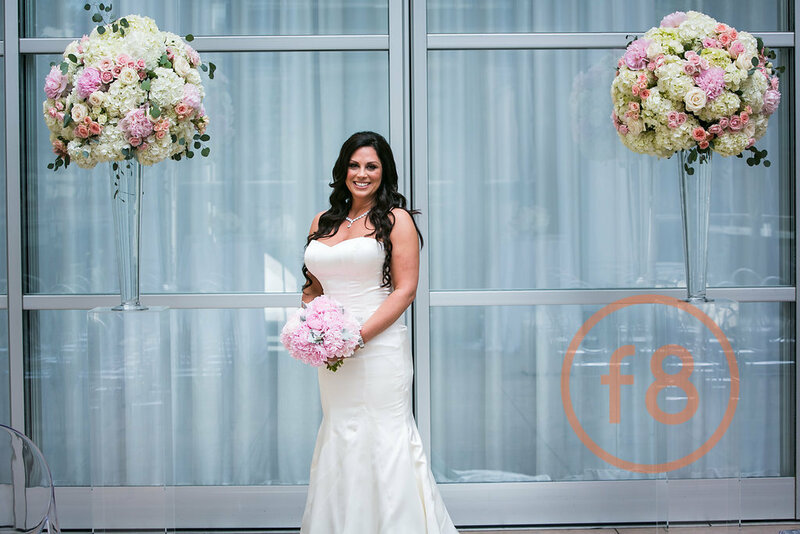 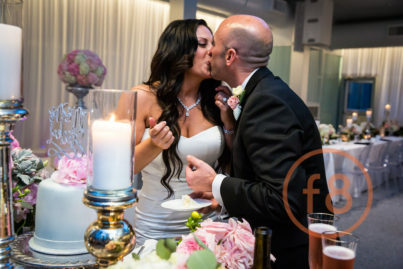 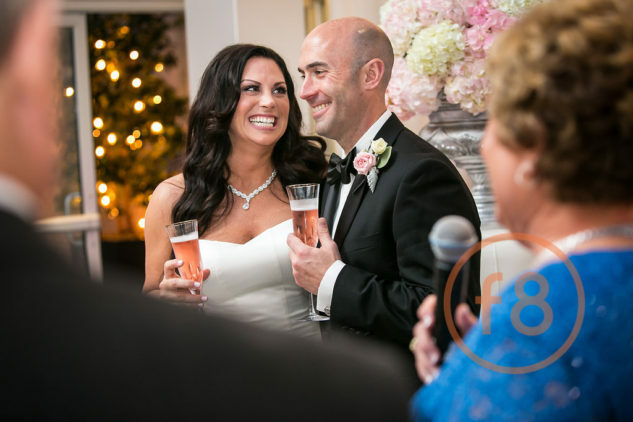 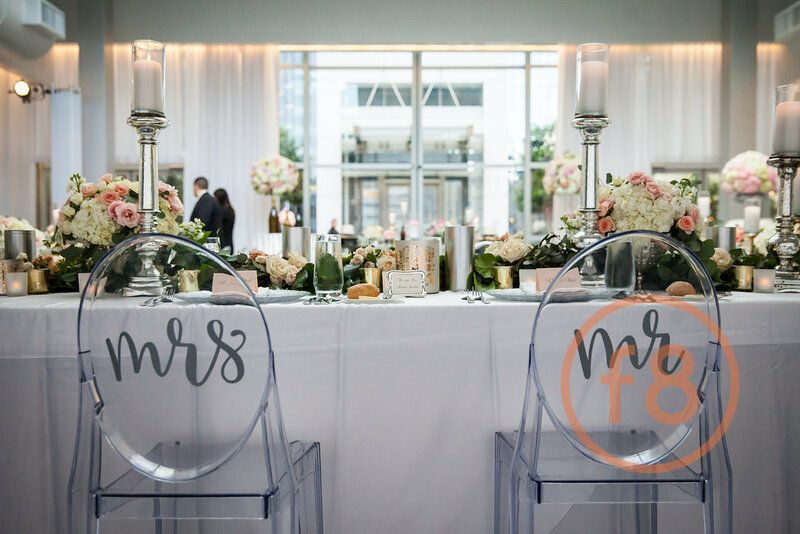 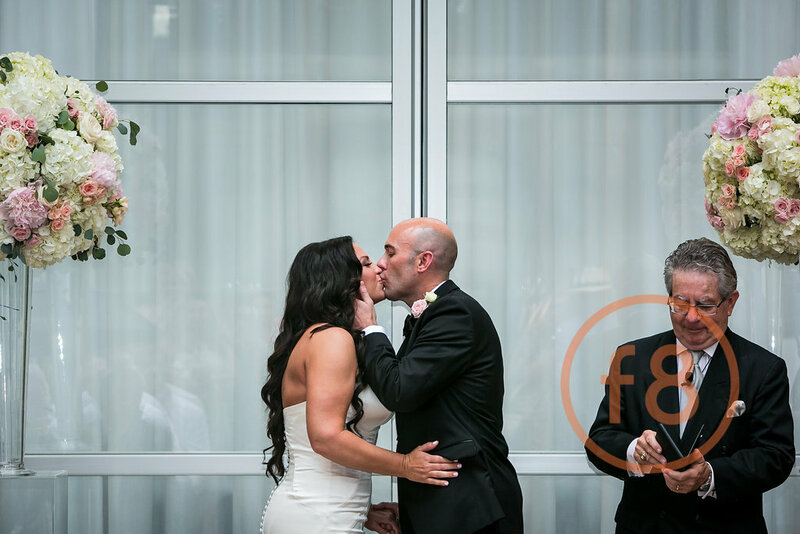 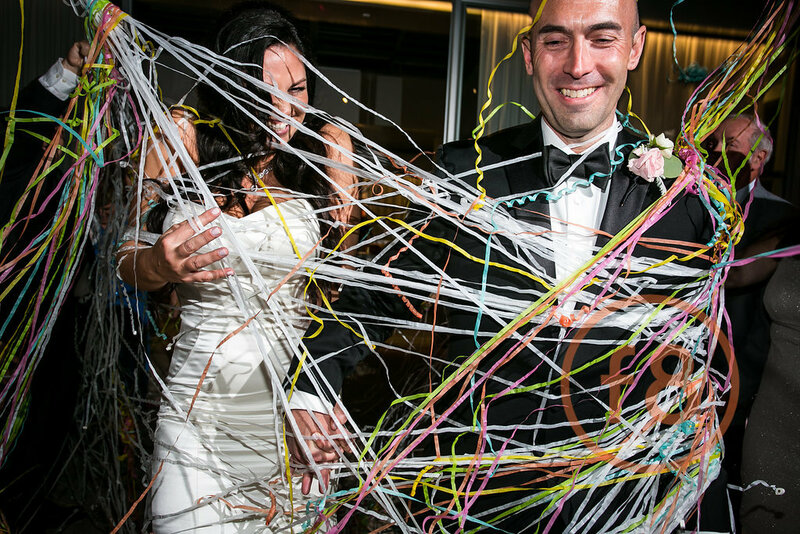 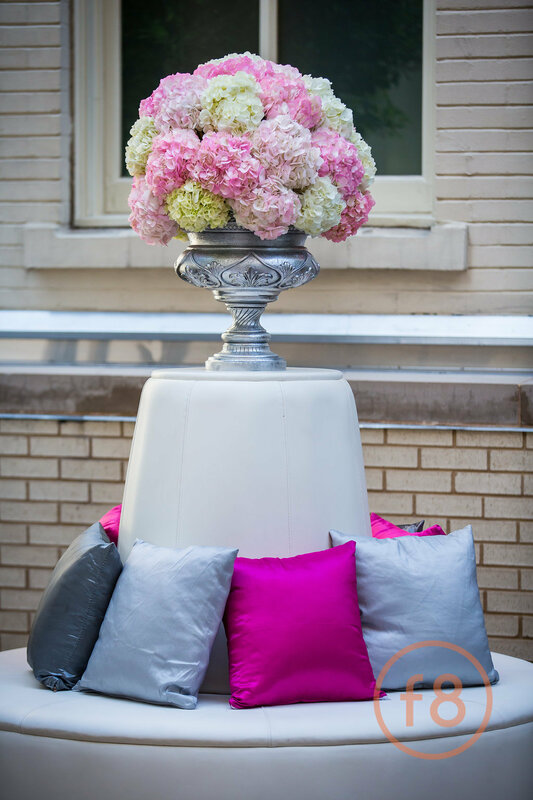 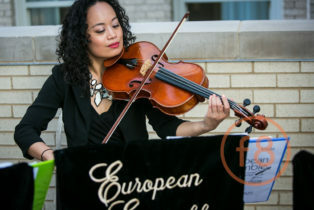 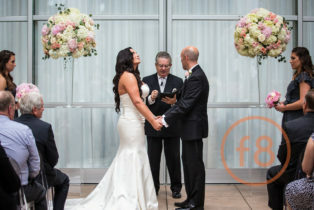 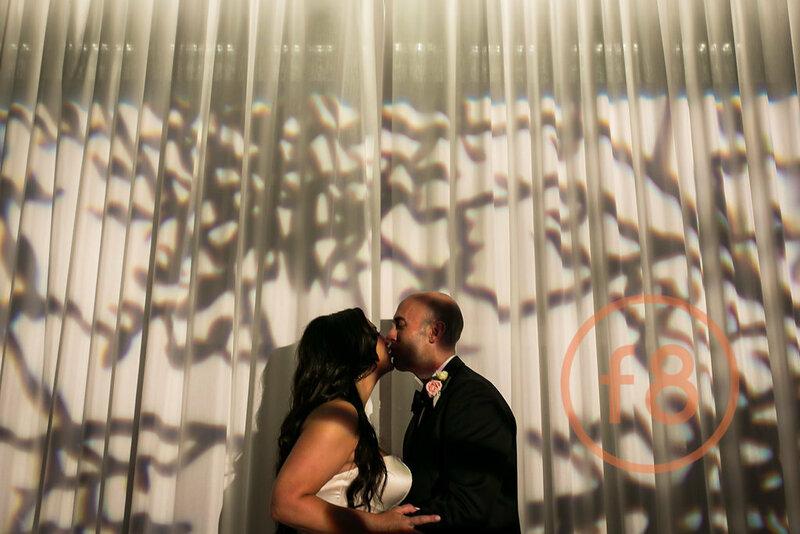 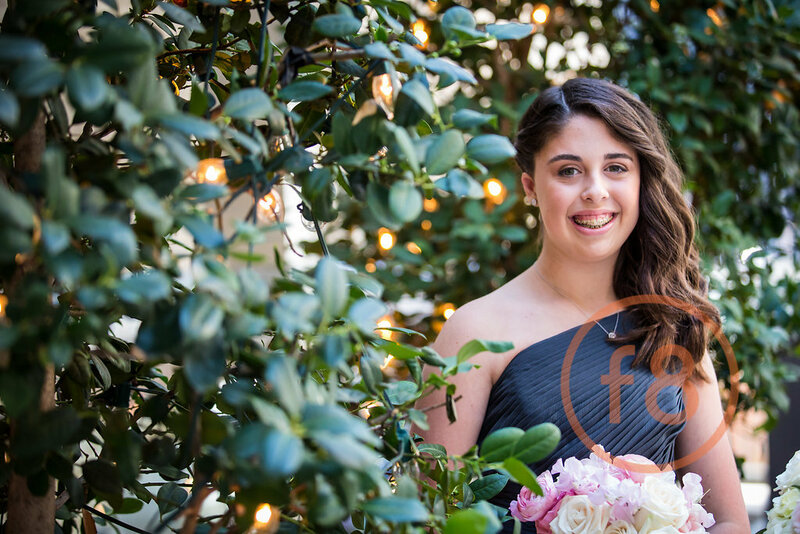 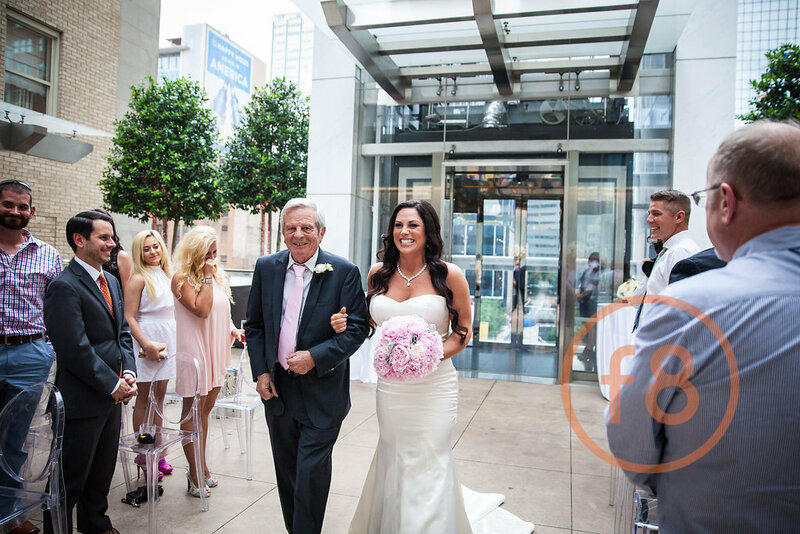 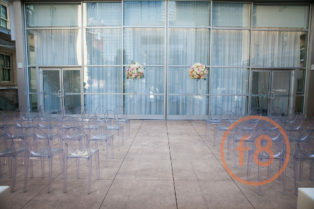 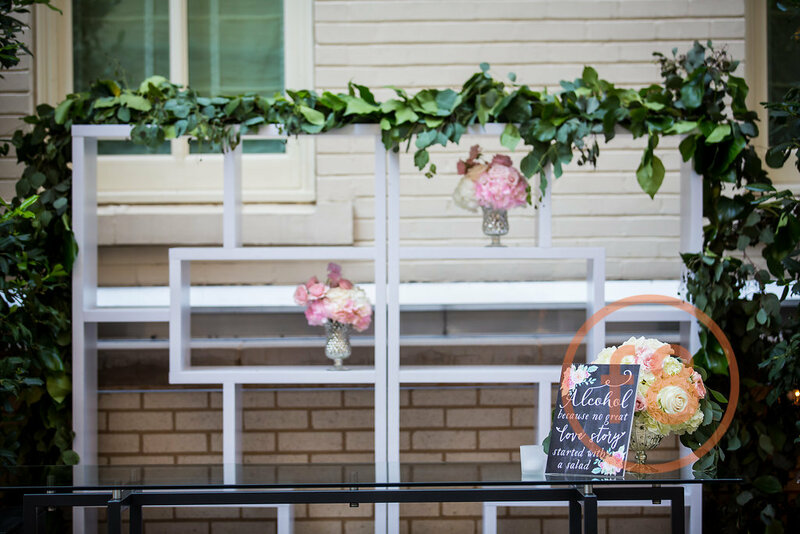 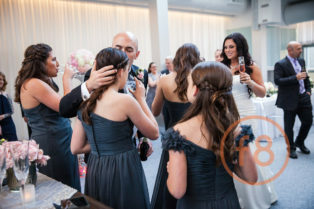 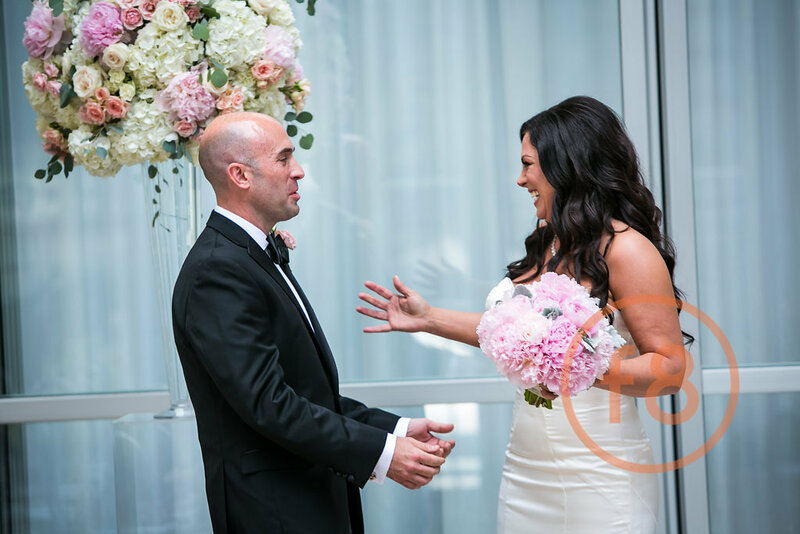 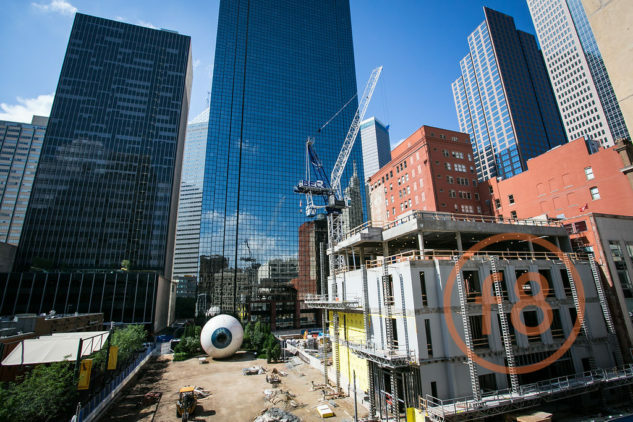 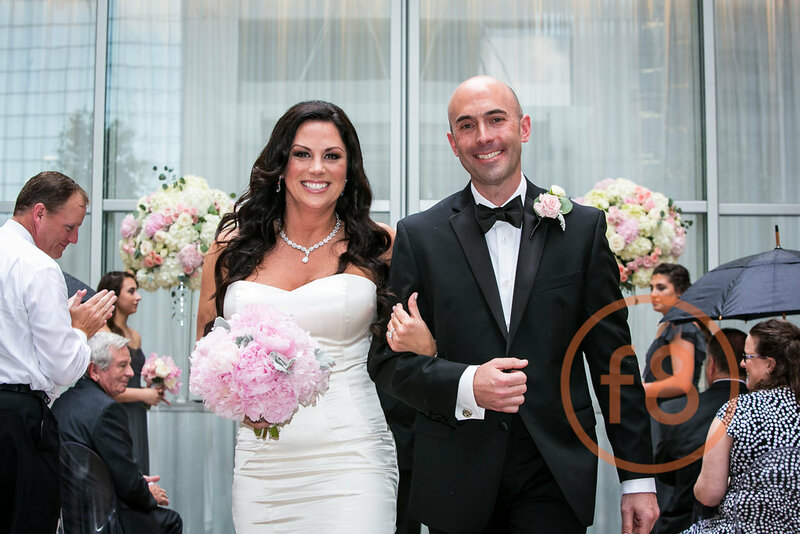 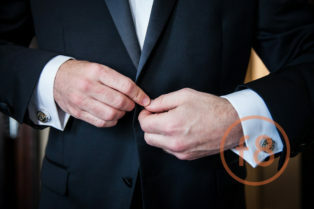 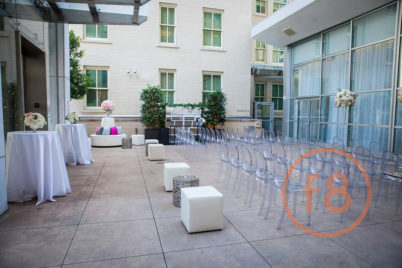 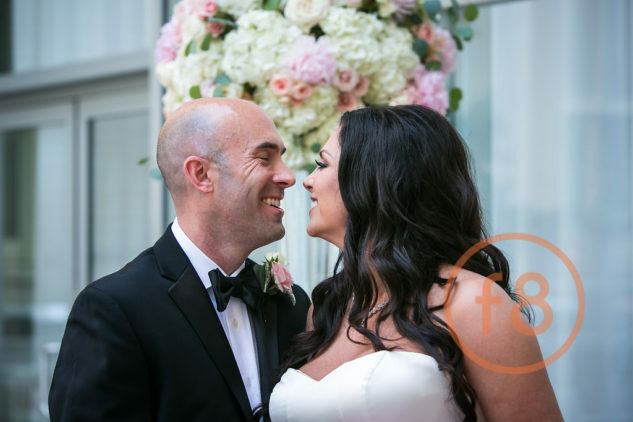 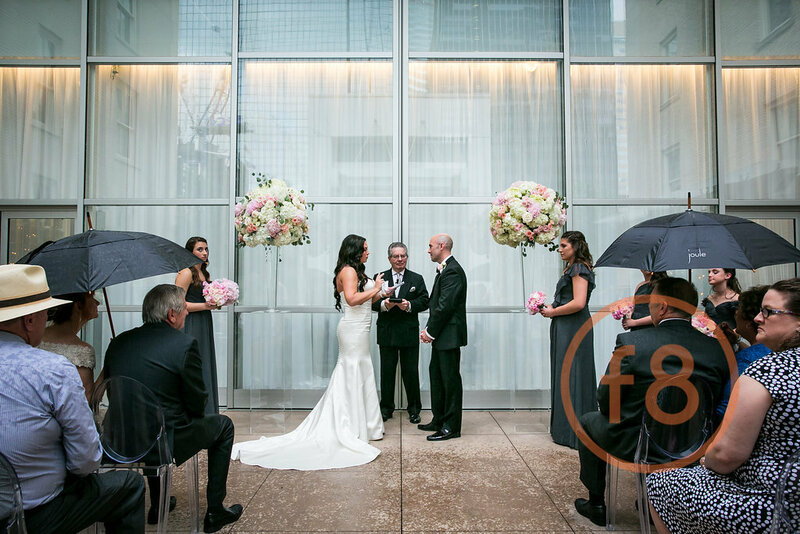 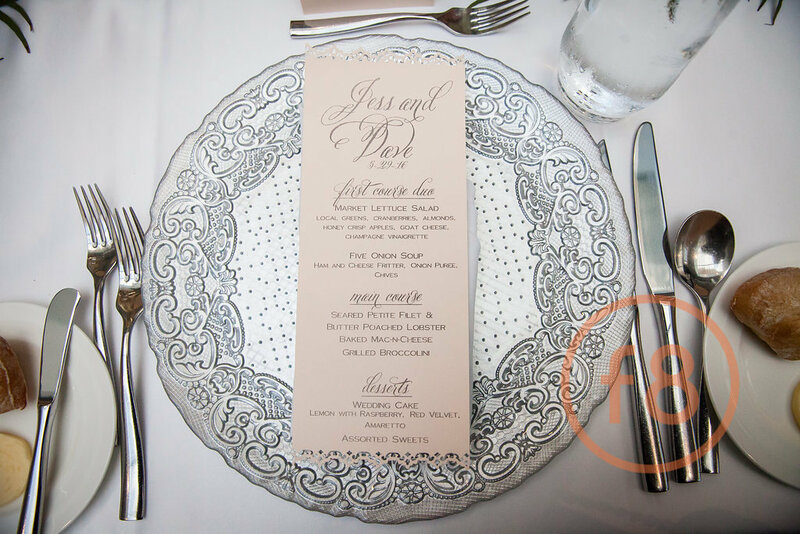 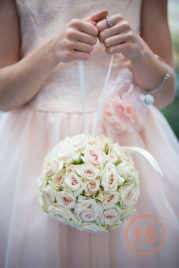 Jessica and David had an intimate wedding at the Joule Hotel on the Rooftop Terrace. 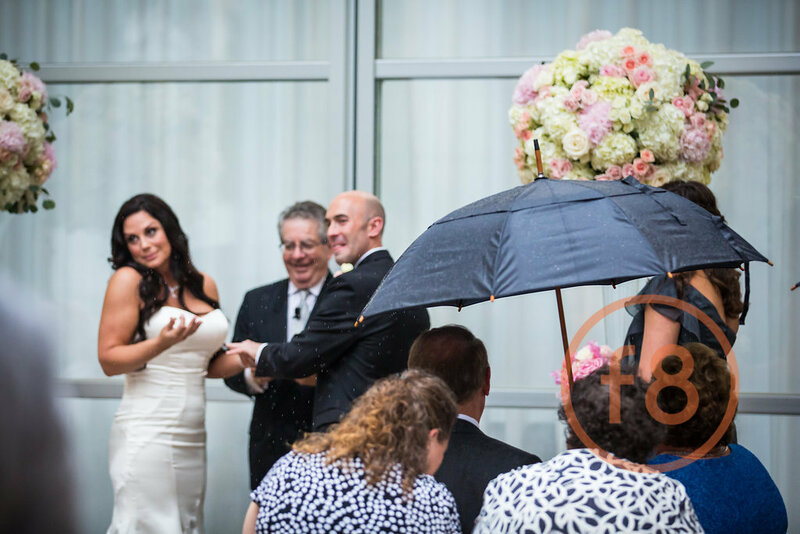 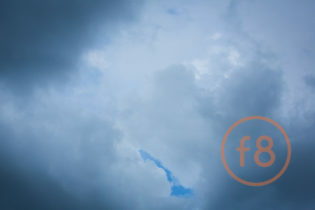 Although the clouds were looming, Jessica was not going to let a little rain stand in her way. Just as the ceremony was ending, the rain started falling and umbrellas came out! 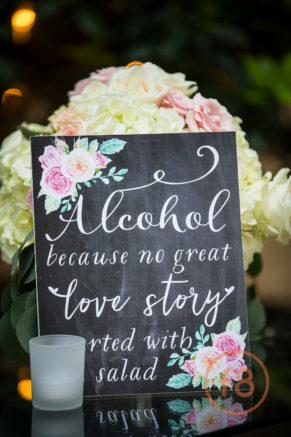 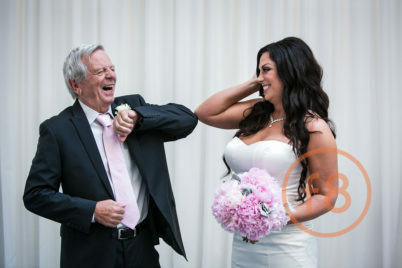 The bride and groom along with their guests laughed it off and the party continued. 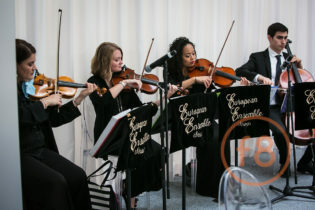 The romantic quartet played on during cocktails and dinner. 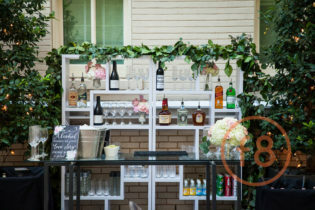 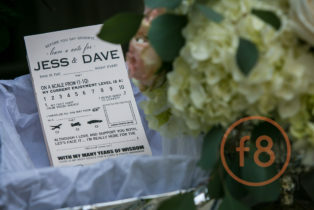 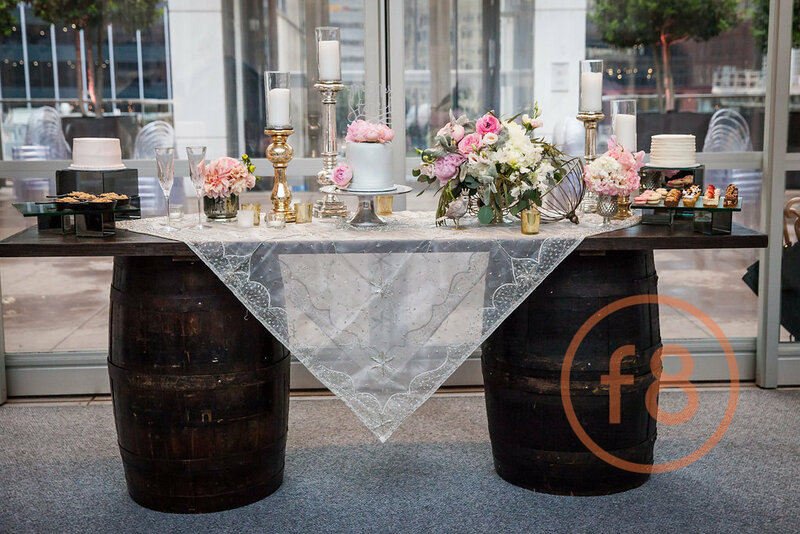 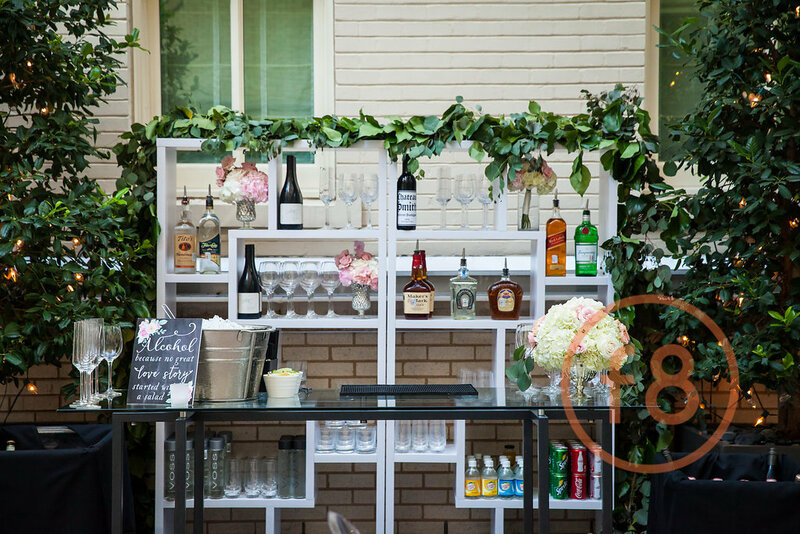 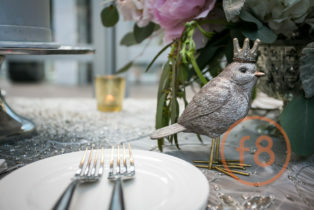 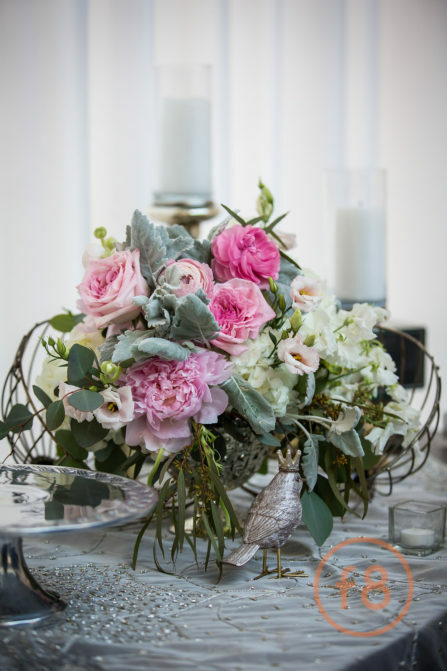 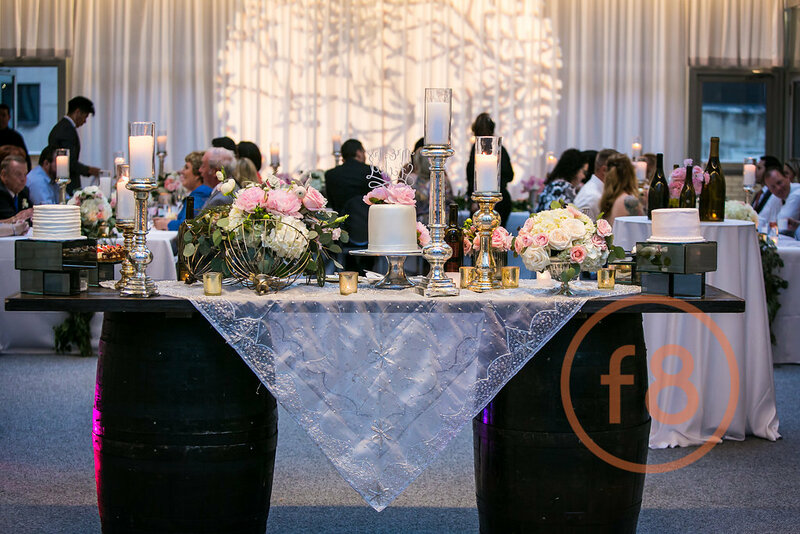 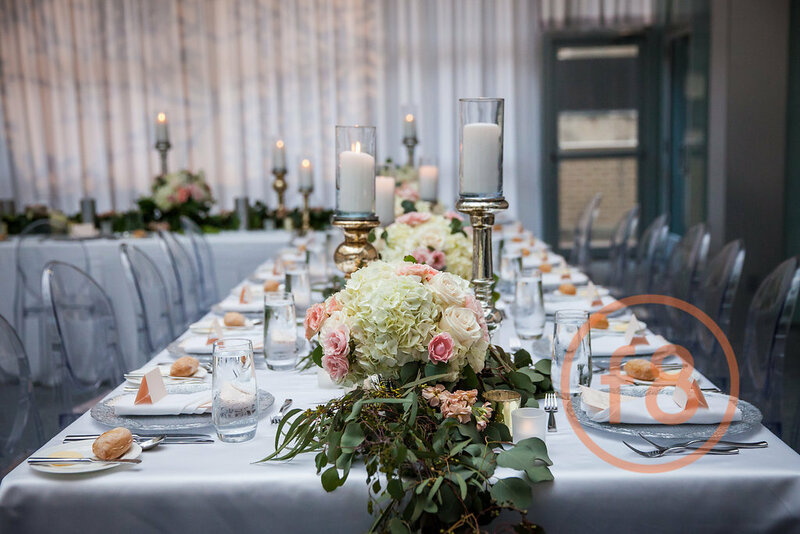 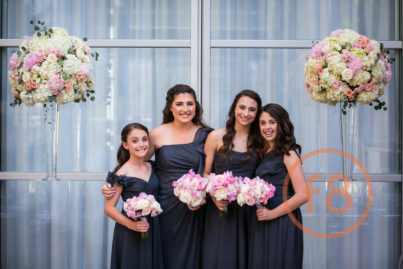 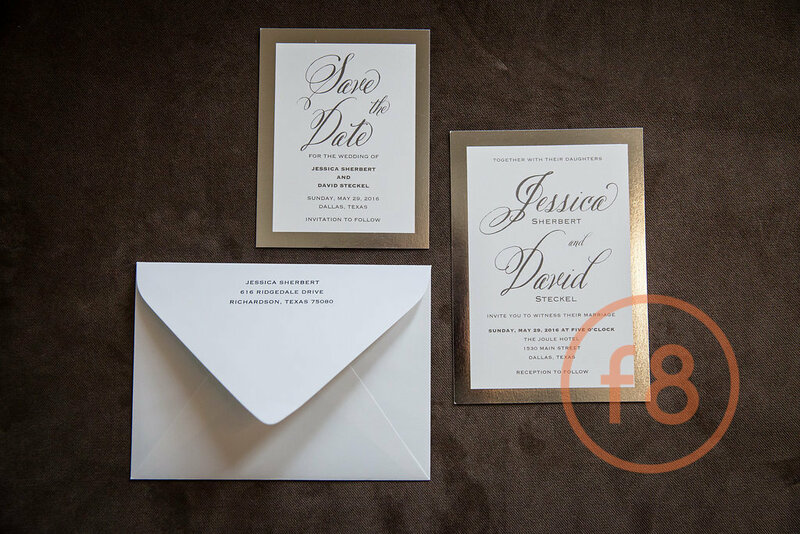 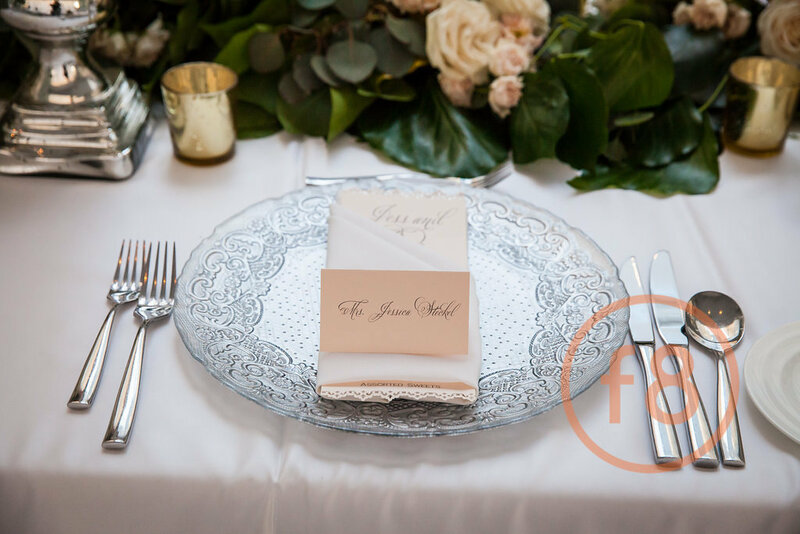 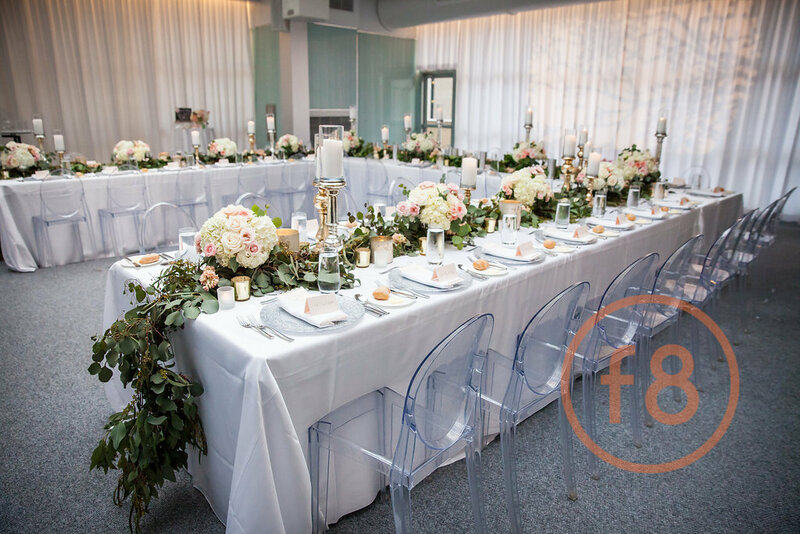 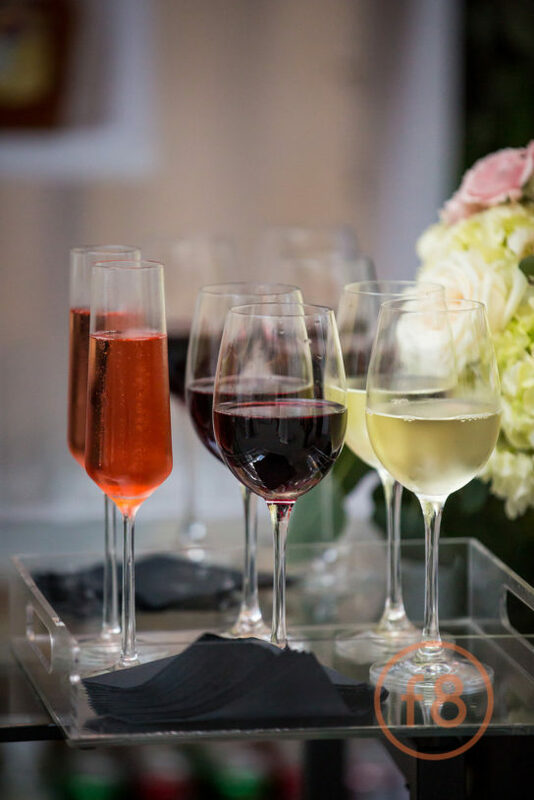 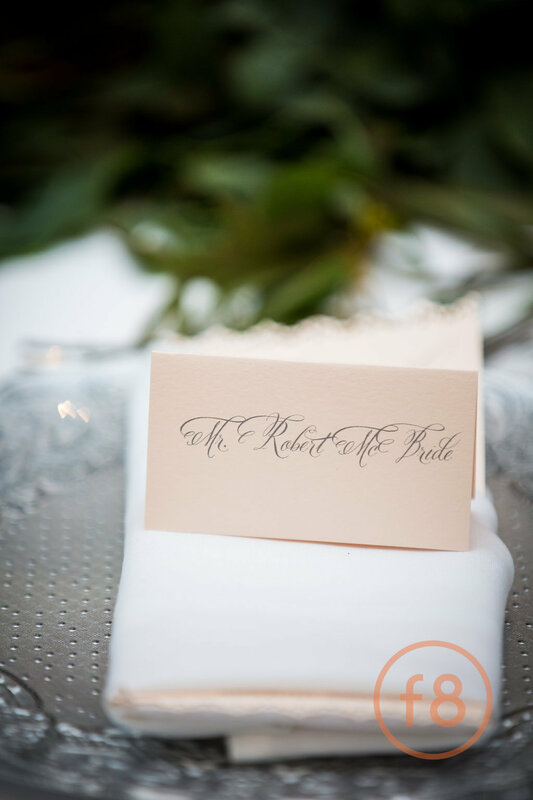 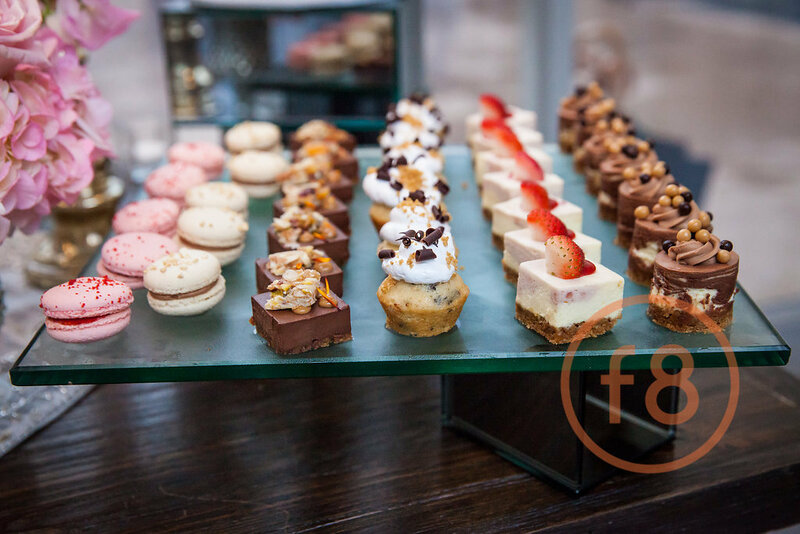 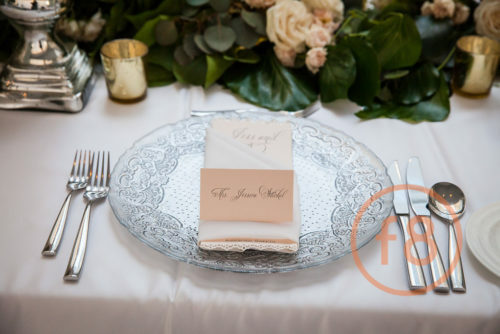 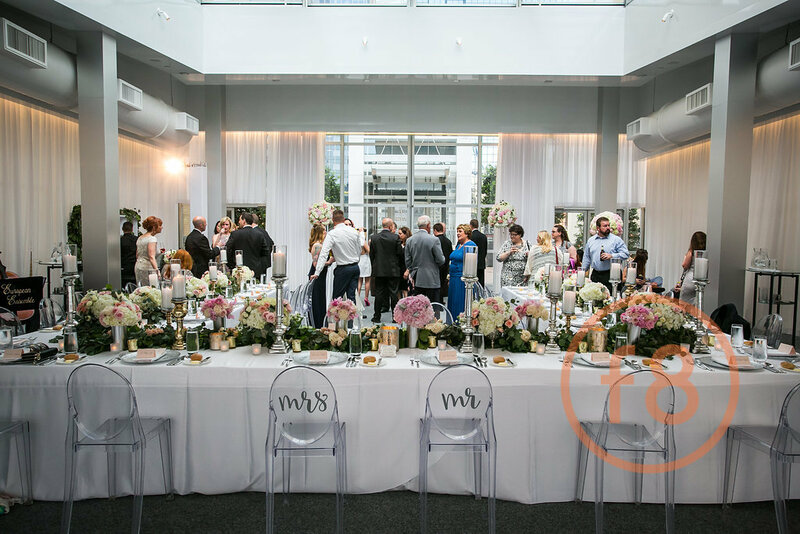 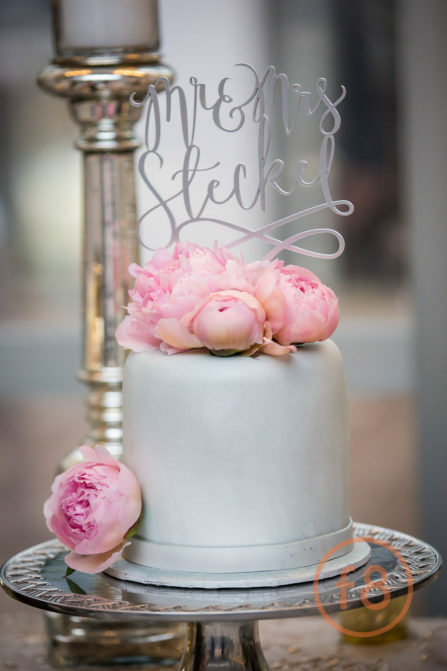 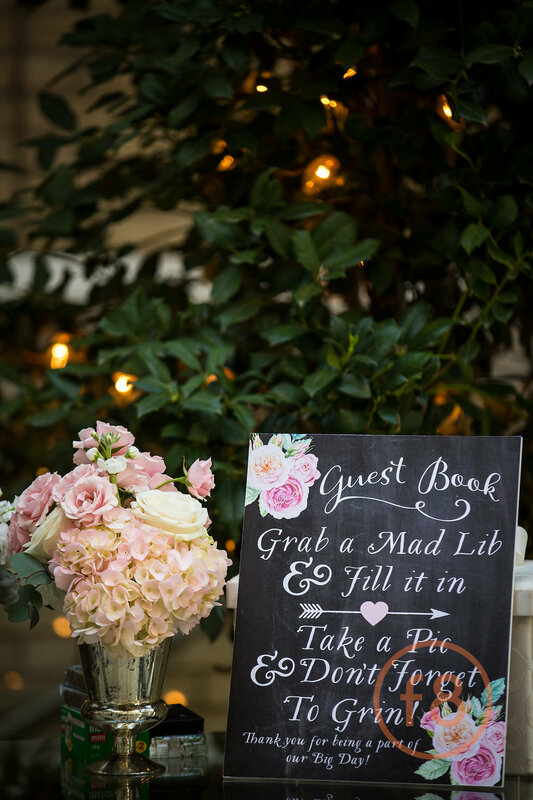 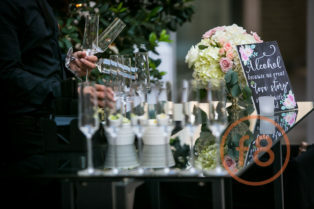 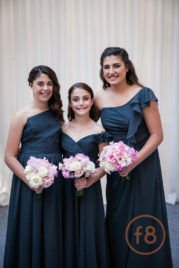 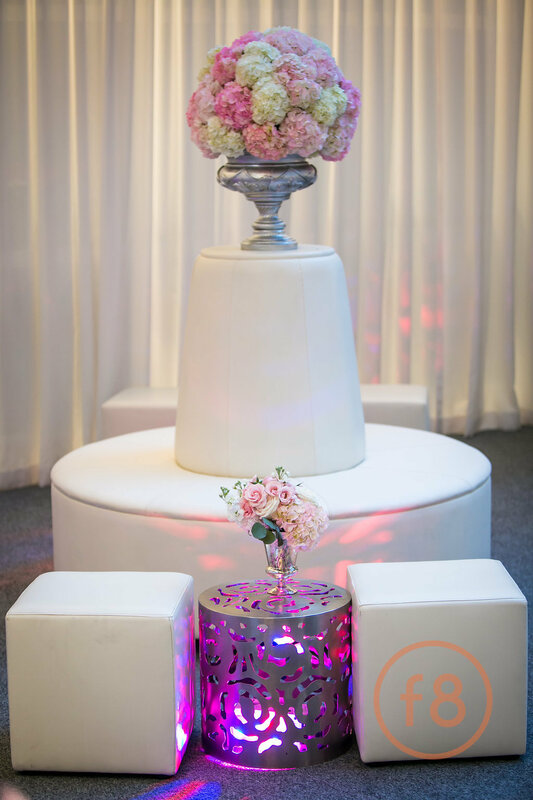 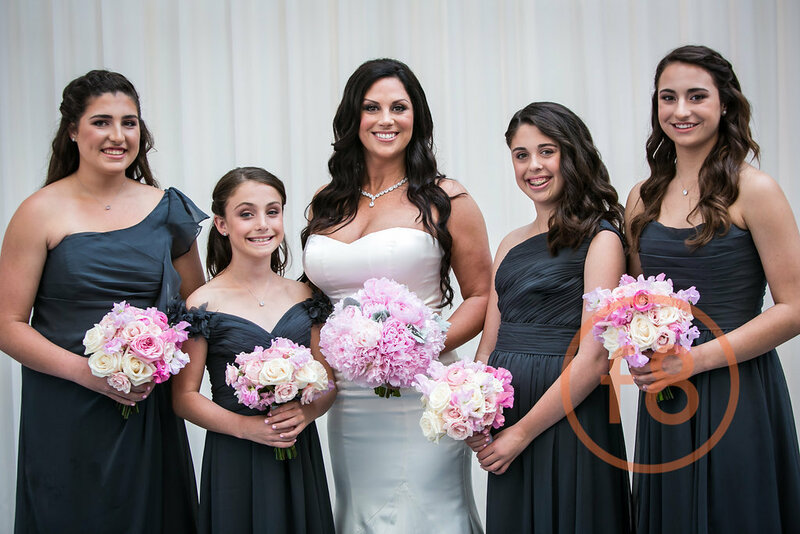 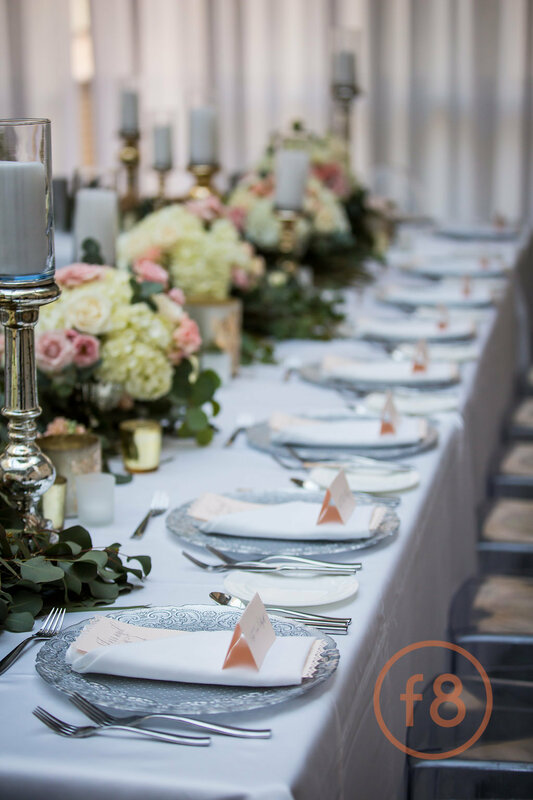 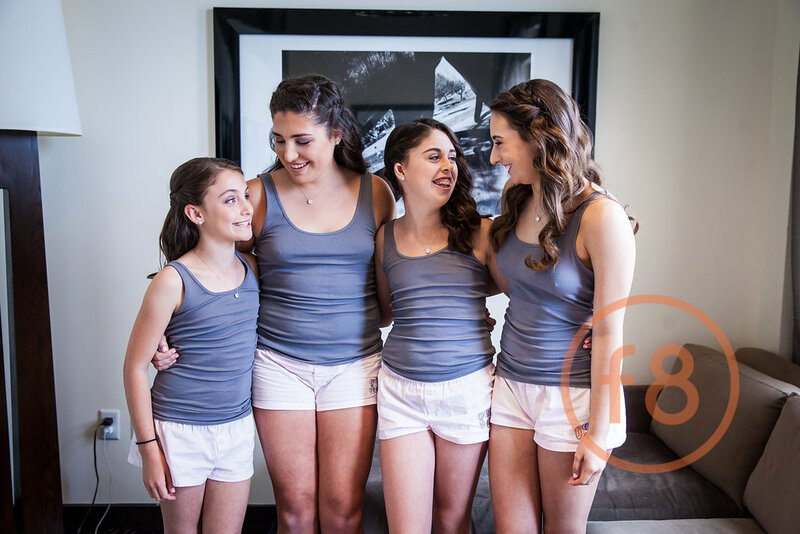 They wanted an elegant, unstructured feel with the freedom to mingle with guests and enjoy each other’s company. 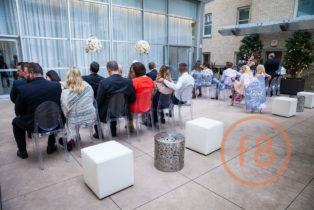 The seating was arranged in one big U shaped table with a beautiful lush floral runner with lounge furniture all around for a relaxed, family oriented environment. 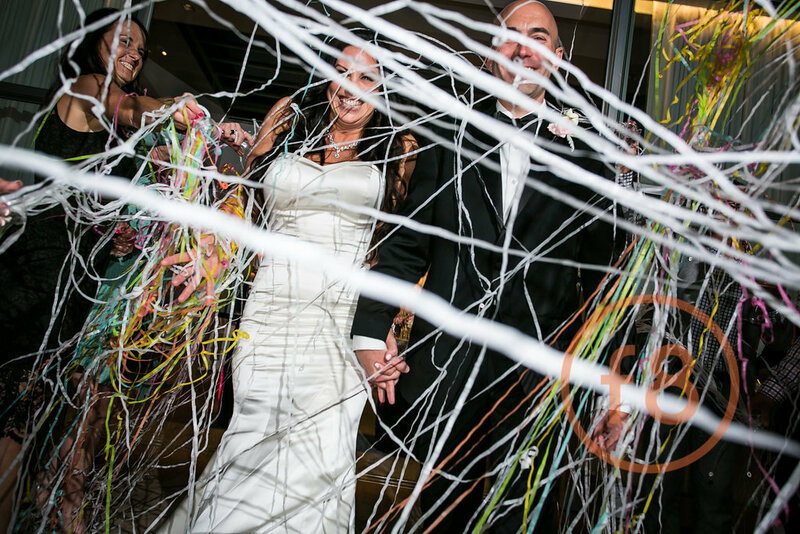 This love fest ended with a fun send off into the glass elevator with streamers! 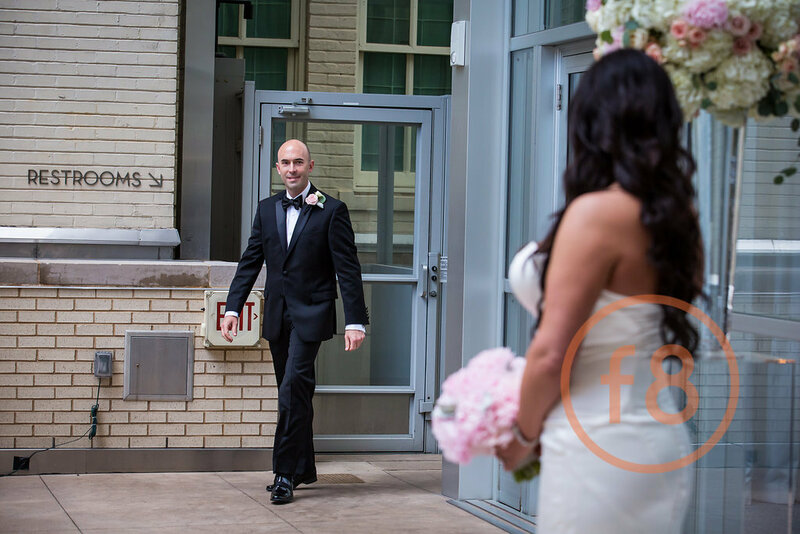 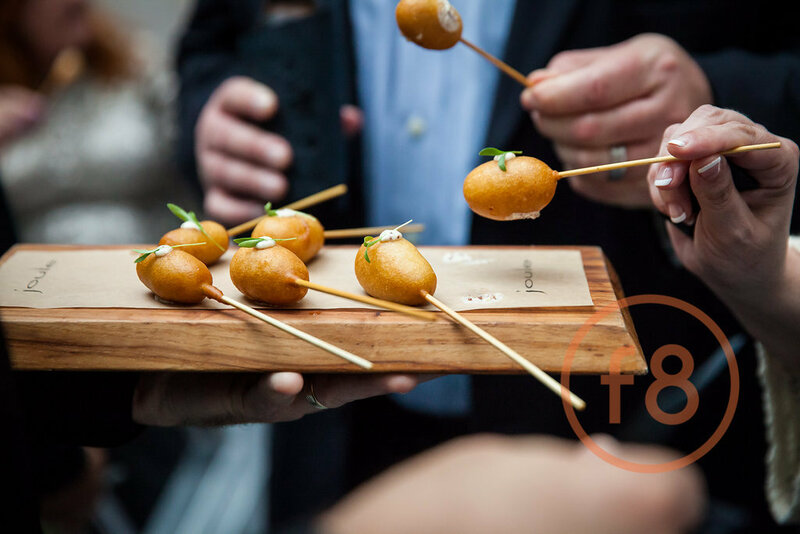 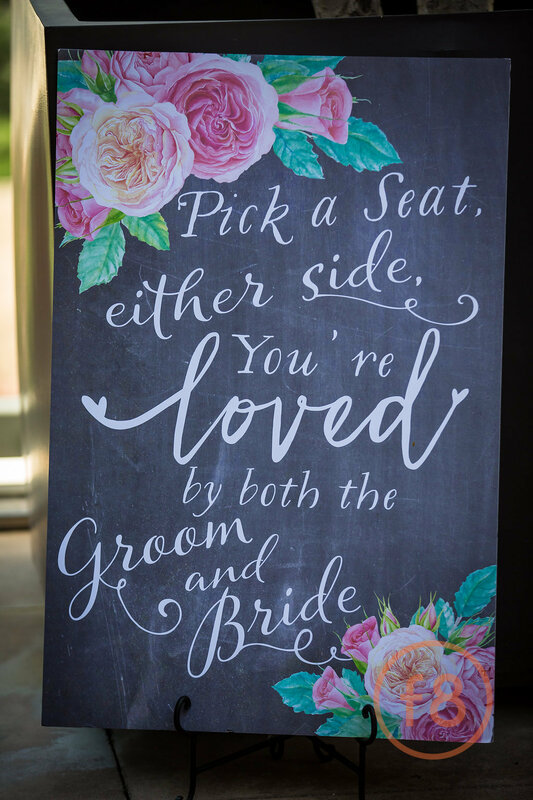 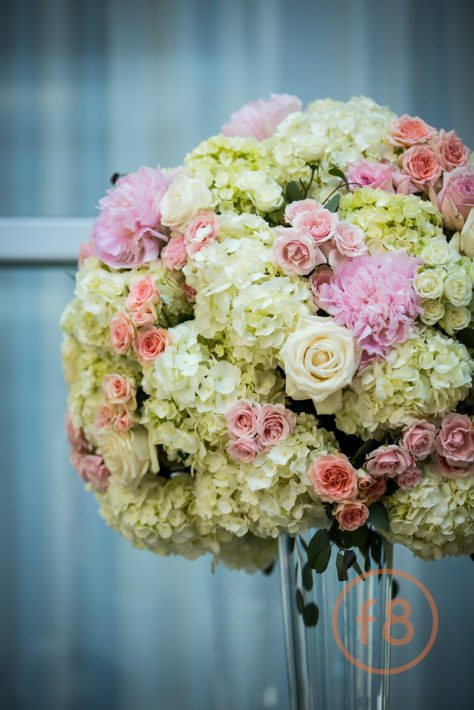 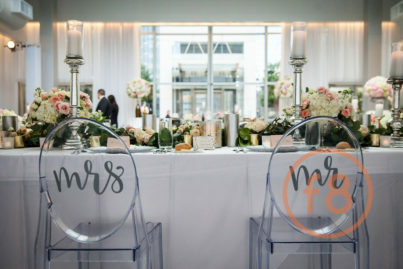 This entry was posted in Real Wedding and tagged 21 Parc, f8 studio, Gary Donihoo, Joule, Matthew Christopher on July 12, 2016 by admin.